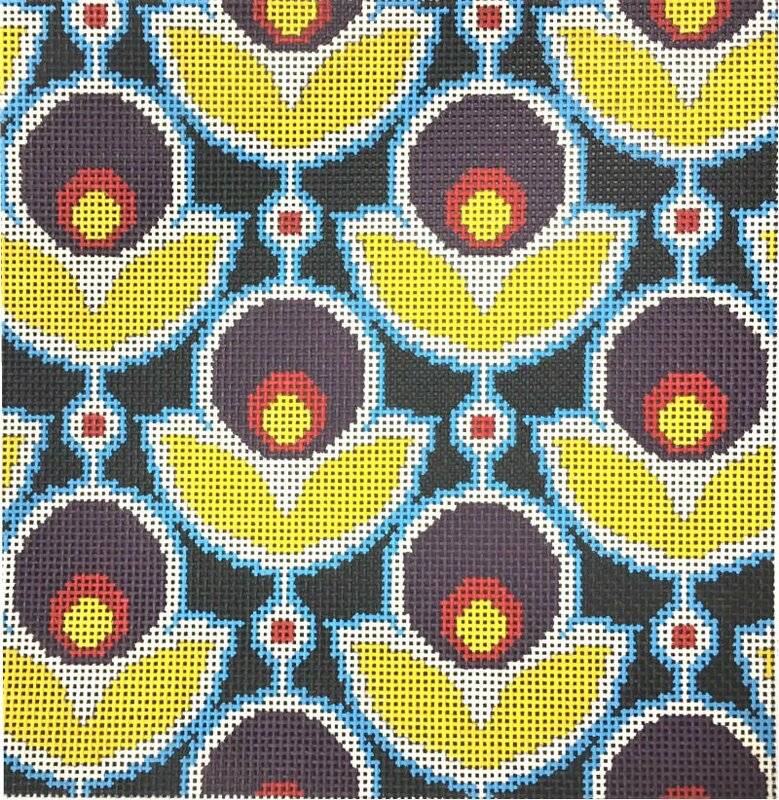 An abstract needlepoint design by Cooper Oaks that is based on a fabric print. The intense colors are navy purple and yellow. This easy to stitch design would make a lovely pillow or framed wall hanging, or stitch it to a tote bag. The 8" x 8" design is hand painted onto 13 mesh mono needlepoint canvas. Choose threads from the drop down menu - cotton is DMC floss and wool and silks are from Planet Earth. If you require stretcher bars we recommend two pair of 12" and some thumb tacks.